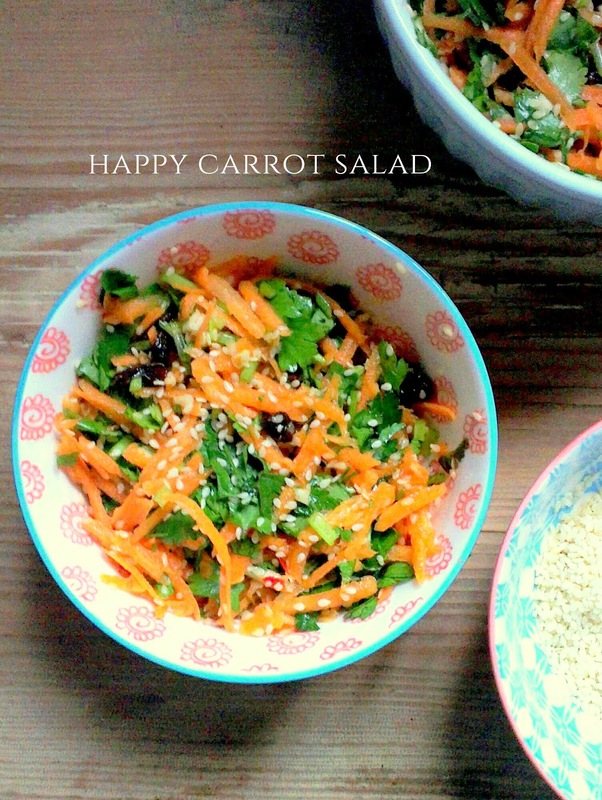 It's a big claim I know, but somehow this simple little salad - with its sticky sesame, crunchy carrot and squidgy sultana and spicy surprise - scores every time. So what's so special about this happy little helper? Carrots are filled with beta carotene, an important antioxidant that helps fight free radicals and strengthens your immune system. Sesame seeds are a valuable source of manganese, which is needed for bone structure and proper digestion. 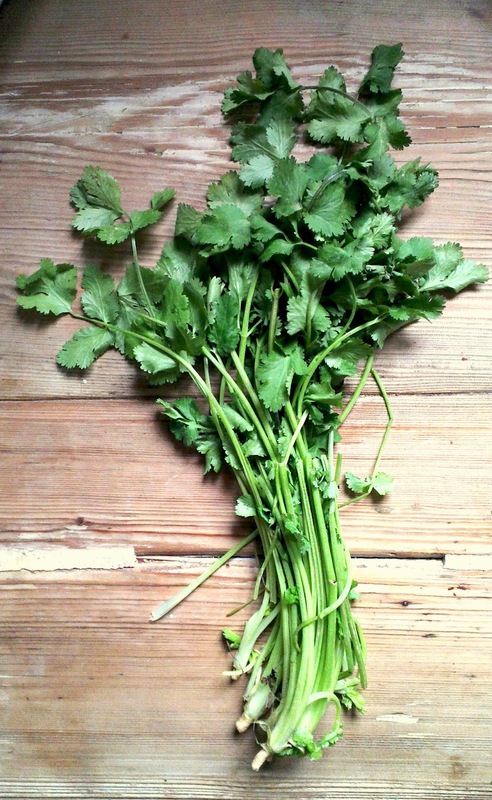 The fresh Coriander is filled with detoxifying chlorophyll and antioxidants. 3 large British carrots, grated. 2 oz toasted sesame seeds. 1 tbsp sweet chilli sauce, or 1 tsp sugar and 1/2 a red chilli. Juice and zest of 2 limes. 1 large handful fresh coriander, chopped finely. You can also add parsley or mint. 1. 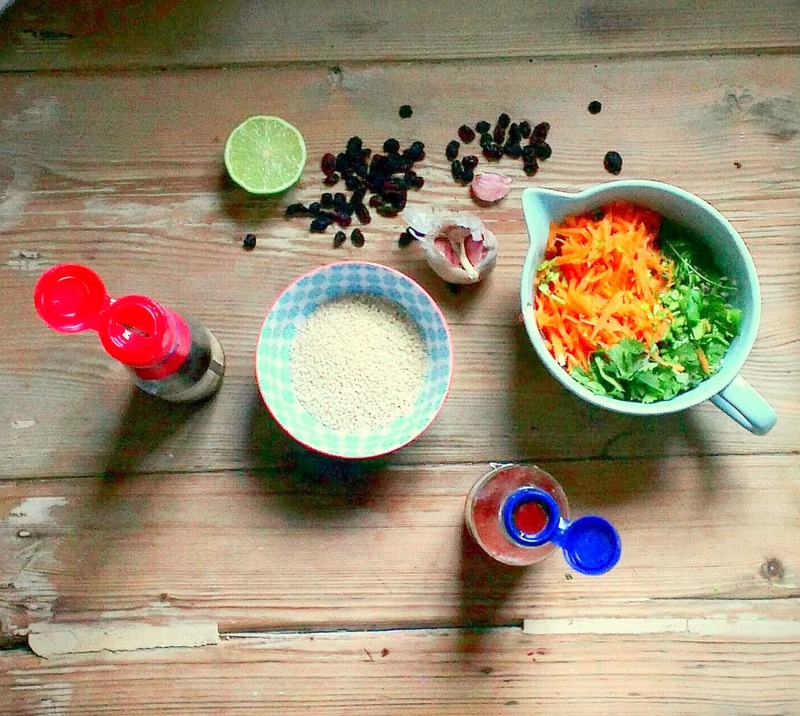 Combine all the ingredients into a big bowl and mix thoroughly. Add salt to taste. It tastes even better when it's been left to macerate overnight.